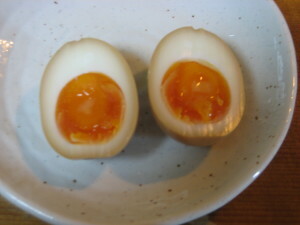 If you have been to ramen restaurants in Japan, you saw “Ajitsuke Tamago.” It is a boiled egg and added some tastes. However boiled egg is not major topping for ramen, each ramen restaurants has their original ajitsuke tamago. 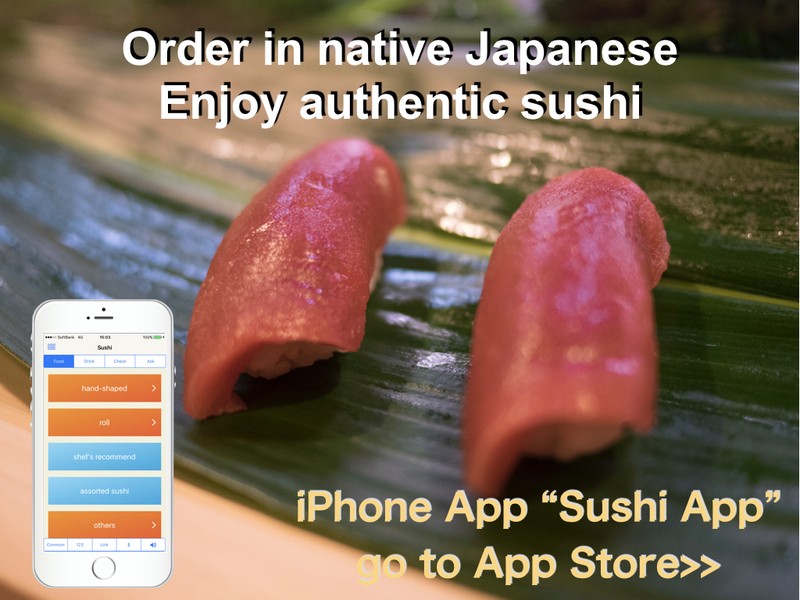 So you can enjoy many different of ajitsuke tamago. Most ramen has boiled egg as topping. Some are serving plain boiled egg, and others are serving ajitsuke tamago. I think plane boiled egg is major in the past, but now ajitsuke tamago is major. I don’t know since it became major. 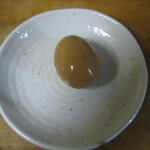 Now soft boiled ajitsuke tamago is very popular. 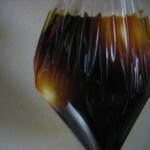 1) Combine soy sauce, mirin, sake and sugar in a pan and heat. Turn off if it boiled. Then leave it to make cool. 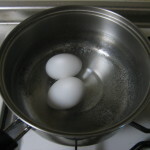 2) Put egg and add water until the height of egg. Then heat. 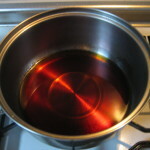 Once it boiled, leave it about 4 min. Then pick up eggs. 3) Peel the shell of boiled egg and put it in the sauce. Leave it in refrigerator for one day. 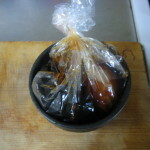 Plastic bag is useful for this process because whole egg can be dipped in the sauce. It takes about one day, but it is worth to upgrade home cooking ramen. If you like sweet one, add sugar. 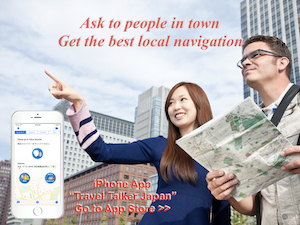 It is fun to find your favorite taste of ajitsuke tamago. 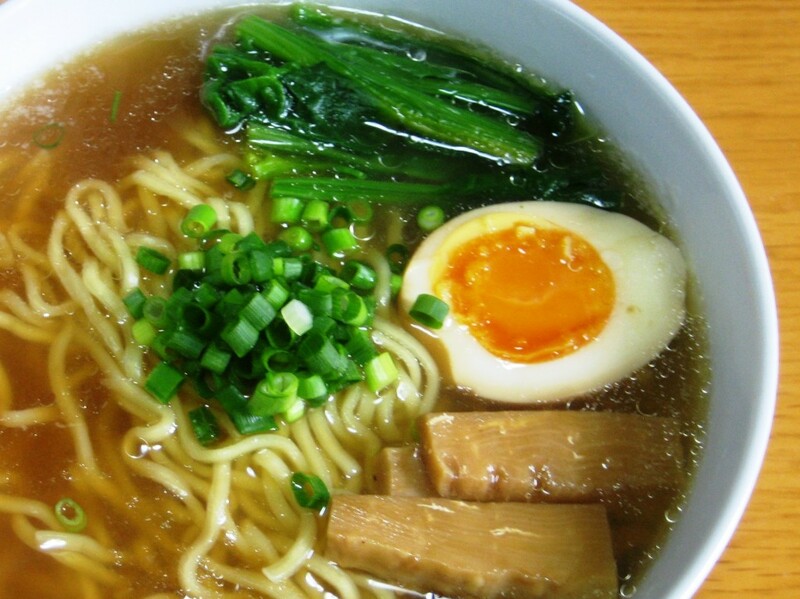 This article is for ramen lovers in the world.